Survivors of the San Bernardino shooting and their loved ones describe what happened during the horrific incident. Even as authorities used a Southern California golf course as a command post and much of the area remained on lockdown in the aftermath of Wednesday’s deadly shooting rampage in San Bernardino, golfers continued to swing and putt away. The request — was made at 12:30 p.m. PT, about 90 minutes after the attack was first reported to police. 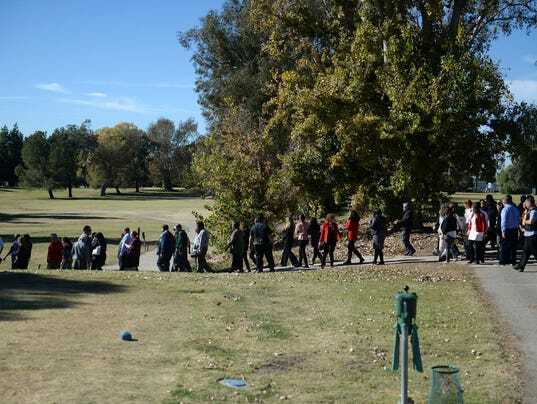 The San Bernardino Golf Club is located across the street from Inland Regional Center, where Syed R. Farook, 28, and Tashfeen Malik, 27, allegedly opened fire Wednesday morning. Along with the fatalities, at least 17 were injured. Farook and Malik were killed later Wednesday after a gun battle with police.